Why does the Torah in Devarim (Deuteronomy) 1:2 declare that Mount Sinai is 11 days away from Qaddesh Barnea` (most likely to be Petra, Jordan), when Book of Melakhim (I Kings ch.19) relates how the prophet Eliyahu (Elijah) took 40 days of trekking from the desert outside of Be’ersheva` to get to Mount Sinai? Is Egyptologist David Rohl correct that this Torah verse is an anachronism; a narrative authored in a later time when travel on camel-back was common in the Near East? Considering how rare domesticated camels were in the region in the days of the Exodus, what about the Torah’s mention of the camels of Abraham and Jacob? If certain Bible critics are correct, there were not even domesticated camels in the Levant region in the era of the Patriarchs. Does this not falsify those details in the Torah narrative? As many of my students are aware, thanks to a gift by a dear student of mine of several books by David Rohl, I have become very impressed with his work. Not since the work of Immanuel Velikovsky have I found such an important defense for the historical grounding of people and events in the TaNaKh, which are still relegated to myth in the eyes of much of the academic world. That is thanks to Rohl adding his weighty vote to a small group of world-class scholars who, standing on the shoulders of Velikovsky, champion the New Chronology of Egyptian history (the only chronology that lends historicity of the Torah’s narrative and chronology), and adding irrefutable, hard evidence to ground it. Having studied those issues for many years, I have found in Rohl’s work very plausible, real-world identifications for Eden, the Garden of Eden, Nimrod, Yosef, the pharaohs of the Famine and Exodus, Mt. Horeb and Sinai, and a number of the encampments of the Bene Yisrael on our way to Land of Canaan. In fact, in light of his impressive evidence and logic, I have personally changed my opinion on more than one of these points. In regards to our Oral Tradition, he has found historical grounding for our Rabbis’ identification of Rome with Edom, and the tradition that our ancestors sojourned in Egypt for 215 (or 210) years; not 400. Yet there seems to be a price to pay for such Qiddush HaShem (sanctification of God’s Name) — at least in Rohl’s mind. Totally out of character with his careful scholarship, and in contrast to the brilliant logic he demonstrates elsewhere, Rohl drops several barbs in his books at Torah tradition that are totally unnecessary to his theses. In those places he resembles a private businessman who feels obligated to pay a small tribute to the local mafia (in this case, the mainstream academia). And I say this with all the respect to the dispassionate, objectivity required of secular academic research. To me, the significance of Rohl’s main conclusions is bolstered by his irreligiosity. Nonetheless, one need not be religious to refrain from reading a text with violence, and reading with violence is precisely what Rohl is doing in the assertion in question. In this article I will first deal with Rohl’s faulty assertion, and then an even worse mistake by other scholars — that the Patriarchs’ camels are a later invention. I have two goals in mind: (1) That my readers can feel unafraid to venture into his works, knowing that there are answers to Rohl’s occasional “tributes” to the confirmed naysayers. (2) That they should be aware at how absent-minded some of those little attacks can be, even when they come from the greatest men of science. Qaddesh Barnea’: Eleven or Five Days from Mt. Horeb? To be gentlemanly about it, this statement is grossly inaccurate and again, so out of character with the careful scholarship one gets used to when reading Rohl. When measured by a straight line, that distance is precisely 150.5 miles (see map below). Travelling by known routes through wadis and mountain passes might add an additional 30% of that distance to the journey — 45 miles, bringing us to 195.5 miles. A camel can carry as much as 450 kilograms, but the usual load weighs about 150 kilograms. While working, the animals typically travel about 40 kilometres a day [nearly 25 miles], at a speed of 5 kilometres an hour [emphasis mine]. At that pace, you would cover 195.5 miles in just under 8 days. If the terrain was particularly rough, we could add a ninth day. But 11 days doesn’t fit. What makes this even clearer is an estimation published at the San Diego Zoo website that, if necessary, a camel “can travel 150 km (93 mi) in 15-20 hours“. (4)“Bactrian & Dromedary Camels: Camelus bactrianus, C. dromedarius, C. ferus”. San Diego Zoo Global. Web. Updated April 2013. ...continue Even if you cut that speed by less than half (considering the rough, desert terrain), a camel could surely cover our distance in as little as 5 days. If you left Petra early Sunday morning, you would arrive by Thursday evening. How difficult should it be for a brilliant, world-class researcher such David Rohl to see how ill-suited a camel-ride is to the eleven-day period mentioned in Devarim 1:2? Beginning early morning Sunday, the Israelite wakes up at dawn to pray (as all desert travelers have done from time immemorial) and sets off early enough to take full advantage of the cool, morning temperatures. He could walk 4.5 hours in the morning (let’s say from 6 am until 10:30 am), until the sun becomes hot. (I am picturing a journey between late Spring and early Autumn, when it is not too hot, but the chances of flash-flooding is low.) It is quite possible that desert travelers would set out even earlier, before dawn, making an on-time arrival according to this schedule even easier. The traveler then rests until afternoon, when it begins to cool (let’s say from 10:30 to 3:00 pm). During that time, the observant Israelite rests, learns Torah, and prays the afternoon prayer. 2.5 mph x 8.2 hours = 20.5 miles per day. 20.5 miles x 9 days = 184.5 miles. The remaining 11 miles would take 4.4 hours of the tenth day. If my calculations are correct, why might the Torah be giving a time estimate minus one full day and 4 hours? It’s called Shabboth (the Sabbath Day). It seems likely that Deuteronomy 1:2 is a figure that accounts for a pace for the Israelite traveler who, from Friday afternoon, would need to stop to prepare for and observe Shabboth from Friday evening at dusk, until Saturday night. With full observance of Shabboth, an Israelite setting off from Qaddesh (today’s Petra, Jordan) at 6 am Sunday morning would arrive at Mount Sinai before noontime the following Thursday morning. He would be left with plenty of time to find a comfortable place to lodge for however long he would wish to visit that historical mountain. The mountain where HaShem’s Presence was once manifested so powerfully, that an entire nation accepted upon itself the observance of the Sabbath Day. If my calculations are overly optimistic, there is no difficulty in the 11-day figure in the Torah verse marking the number of days of journeying, irrespective of Shabboth. In that case, for the Israelite, it would take a total 12 days. But how could a regular Middle Bronze traveler (being very strong and hardy in those days, by our standards), require more than 11 days of actual journeying? In normal conditions, he simply would not. As for the foot journey by Elijah the Prophet enturies later, we can only guess at the reasons why his trek took take closer to 40 days (such biblical numbers are approximate). They could include inclement weather conditions, a circuitous route to avoid the long arm of the King of Israel, or even meditations along the way. Are Avraham’s Camels an Anachronism? I was actually relieved, reading Rohl’s work, that he has apparently escaped a pitfall that other secular scholars have fallen into: the claim that, however rare domesticated camels were in Egypt and the Levant (Canaan) at the time of the Exodus, they were absent altogether in the era of the Patriarchs. Archaeologist William F. Albright (6)Heide, Martin. 2011 “The Domestication of the Camel: Biological, Archaeological and Inscriptional Evidence from Mesopotamia, Egypt, Israel and ...continue views the very mention of camels in Genesis as an anachronism: an imposition of the most common form of transportation in the 8th century BCE on that far earlier time, not knowing any better. Notwithstanding the most liberal positions taken by several of the Rishonim (rabbis from the period between 970 and 1460 CE), this would present a formidable challenge to Torah faith to many faithful Jews, Noahides and Christians. Once again, to be fair: What gives real significance to finds by academics that might vindicate Torah truth, is their agnostic attitude. In a modern, academic world that has been released from centuries of violent persecution, lies and corruption in the name of God and religion, it is not the job of secular historians to confirm or deny any particular faith. And yet, it is no one’s job to make reckless conclusions that not only defy good sense, but will likely be refuted by solid evidence in the years to come. Dromedaries may have first been domesticated by humans in Somalia and southern Arabia, around 3,000 BC, the Bactrian in central Asia around 2,500 BC, as at Shar-i Sokhta (also known as the Burnt City), Iran. In accord with patriarchal traditions, cylinder seals from Middle Bronze Age Mesopotamia showed riders seated upon camels. 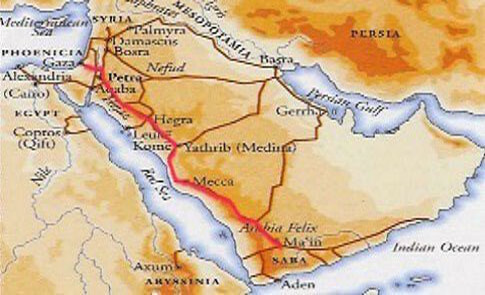 That despite trade routes that have connected Southern Arabia to its surrounding lands from deep antiquity — including the highway that snaked up from southern Arabia into the Levant. Ancient Network of Perfume and Incense Trade Routes. 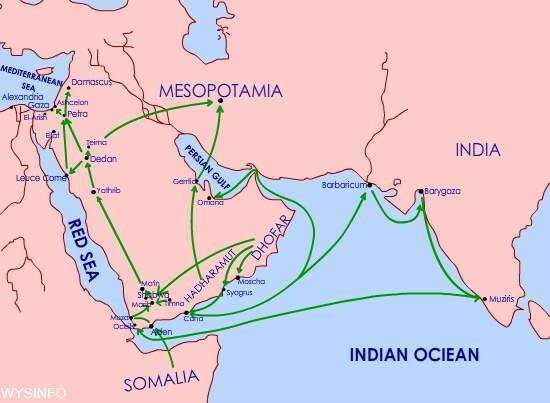 (8)Ancient Network of Perfume and Incense Trade Routes. “The Ancient Perfume Route”. WysInfo Docuwebs. Web. January 13, 2016. 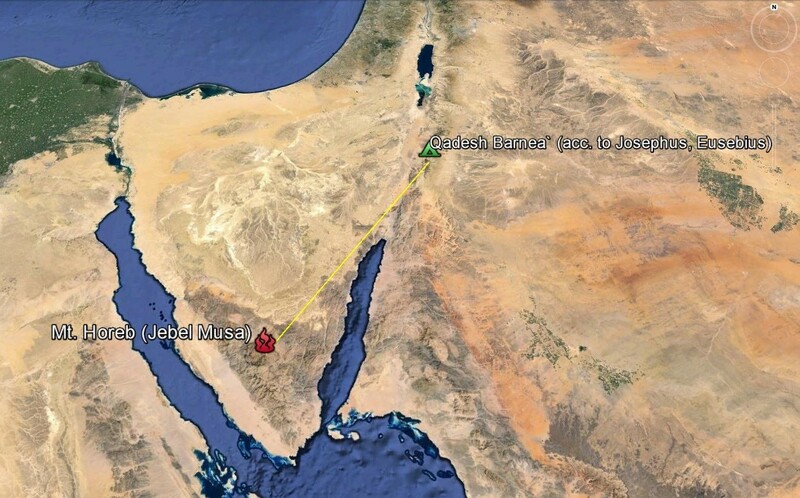 URL: ...continue Note the route leading from Southern Arabia up to the region of Canaan. If camels were in Southern Arabia in 3000 BCE, they were in the Levant (Canaan) by 1700 BCE, the time when Avraham the Patriarch flourished. Abraham came from Ur of the Kassites, which was part of the kingdom of the great conqueror Enmerkar (who is most likely to be the biblical Nimrod). As recorded in the early Sumerian epic, “Enmerkar and the Lord of Aratta”, Enmerkar conquered Aratta (Urartu), a kingdom straddling eastern Turkey and northwestern Iran, thereby dominating the Zagros mountain region. By sheer logic alone: if the greater region had domesticated camels by the 26th century BCE, then Avraham –a greatly wealthy, 18th century BCE Sumerian– would have known about and made good use of them. It would not be a far-fetched proposition that Avraham himself, with his wealthy camp, could have introduced the Bactrian camel to the Levant region! Its disappearance (perhaps due to the great regional famine in the times of Jacob) might account for the lack of evidence of camel domestication before 930 BCE (the times of the early Davidic monarchy). However speculative it might seem at first, this logic is vindicated by a grand find that should deeply bother any confirmed skeptic in regards to Avraham’s camels. It is an image on a cylinder seal found in Syria (below (10)Cylinder Seal with a Two-Humped Camel Carrying a Divine Couple. The Online Collection of The Walters Art Museum. Location Within the Museum: Centre ...continue ), the greater region of Harran, the new bastion of Avraham’s family after having left Ur. (In fact, if it was found west of the Euphrates River, it would hail from the portion of Syria that is part of the greater region promised to Avraham by the Almighty.) The artifact dates to between 1650 and 1800 BCE, the patriarchal era precisely. Again, Avraham flourished around approximately 1700 BCE. The museum caption reads, “the seal shows a divine couple [horns symbolize divinity] sitting on the two humps of a Bactrian camel, one of the earliest images of this animal.” Could this be an image that records and mythologizes, from the pagan perspective, the arrival of Avraham and Sarah to Harran? Recent excavations in the Timna Valley by Lidar Sapir-Hen and Erez Ben-Yosef discovered what may be the earliest domestic camel bones found in Israel or even outside the Arabian peninsula, dating to around 930 BCE. This garnered considerable media coverage as it was described as evidence that the stories of Abraham, Joseph, Jacob and Esau were written after this time. If a claim to the tune of “these bones that I happen to have found are likely to be the very first animals of this kind in this land!” would have come from a non-academic, evangelical Christian archaeologist, it would be utterly ridiculed, and for good reason. That such a claim emanates from within the ivory tower of academia (Israeli, no less) does not make it any less wrong-headed. The fact that one skeleton was found makes the likelihood that an earlier skeleton will be found even more likely. Archaeological discoveries have now shown clearly that references to domesticated camels in Genesis are by no means anachronistic, as some earlier scholars supposed. While camel caravans seem to have been used regularly only from the Late Bronze Age onward, archeologists have found numerous bones of domesticated camels. Thus when Parrot was excavating Mari, he found camel bones in the ruins of a house dated to the pre-Sargonic period (ca. 2400 B.C.). An eighteenth-century B.C. relief from Byblos pictured a camel in a kneeling position, and a socket on the back showed that the animal’s hump and its load had been attached separately. 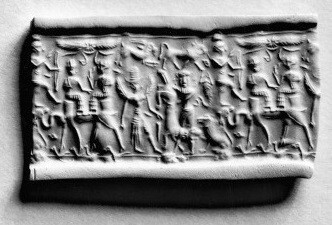 In accord with patriarchal traditions, cylinder seals from Middle Bronze Age Mesopotamia showed riders seated upon camels. Excavations on the island of Bahrain have revealed the existence of camel bones that may go as far back as the 4th millennium B.C., while other evidence for the early domestication of the camel has been recovered from the Indus valley… and in southeast Persia. Being a student primarily of the RaMBaM (Maimonides), my Orthodox faith does not require the Torah to be perfectly historically accurate. Nonetheless, my faith, for one, has been strengthened by the accruing, secular academic evidence that suggest the historicity of the Torah narrative — even in the earliest events it describes. Any occasional exaggeration, symbolic numbering, and mythologizing are for the sake of relating events of the ancient past in terms that would move and inspire one particular Semitic nation, and for religious, pedagogical purposes. And yet, their essence is complete true. To perceive how is a matter of understanding how to read the verses, which were not written for the sake of conveying a dry, academically objective history. That would have better suited a Greek audience; not a Hebrew one. A Torah of Truth He gave us; blessed is He who Chose us. 1. ↑ Rohl, David M. Exodus: History Or Myth? Thinking Man Media. St. Louis Park, MN. 2015. 416 pp. 2. ↑ Source: “The Sinai Region.” Google Earth. 29̊ 25’47.83″ N 34̊ 42’33.87″E. December 14, 2015. December 29, ‎2015. 12. ↑ Bromiley, Geoffrey W. The International Standard Bible Encyclopedia: E-J. Entry for “Genesis”. Wm. B. Eerdmans Publishing Co. Grand Rapids, Michigan. 1982. page 442. This entry was posted on Tuesday, January 26th, 2016 at 10:22 pm	and is filed under Torah Research and Discoveries, Torath Emeth--A Torah of Truth. You can follow any responses to this entry through the RSS 2.0 feed. You can leave a response, or trackback from your own site.